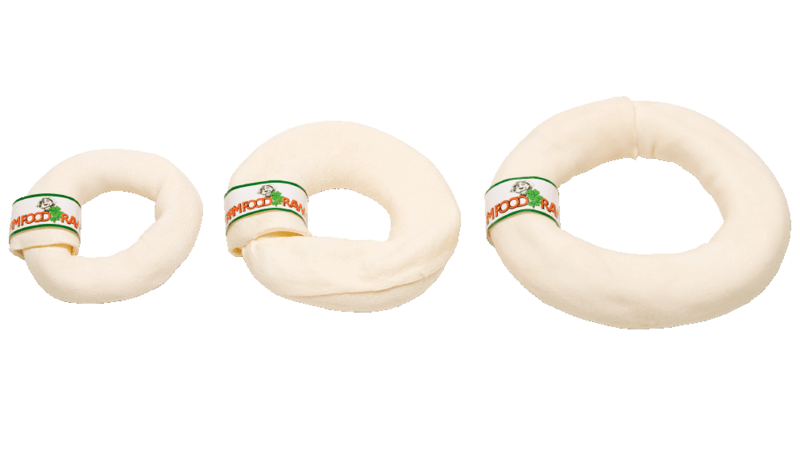 Rawhide is the dried subcutaneous tissue (the second, strong and tough layer) of the skin of cattle. 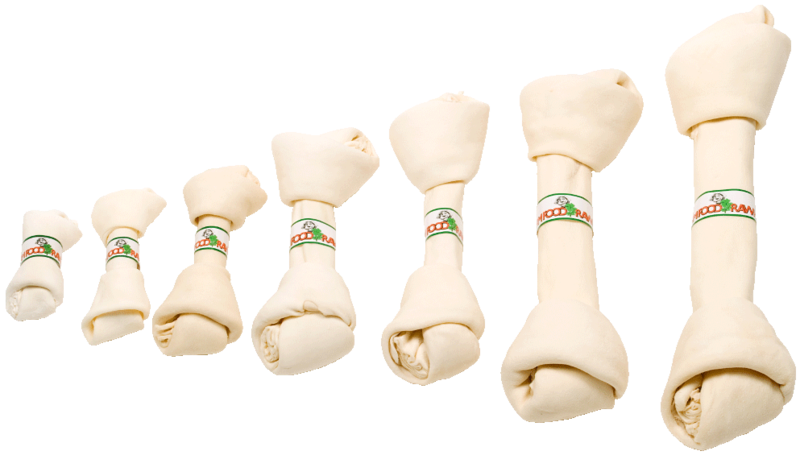 Our white chew bones are made from the hides of free-range cattle that are kept for the local meat production. Analytical constituents: moisture 6.4%, protein 92.8%, fat 0.2%, ash 0.2%, crude fibre 0.4%.